Although somewhat puzzling initially, Echochrome offers Escher-like environments that players navigate by "filling" broken pathways as they change their perspective view on the scene. This title offers a refreshing angle on brain-enhancing gaming. 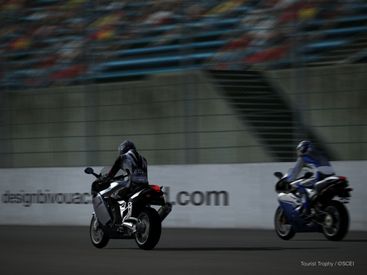 The bivouac recently logged some laps with Polyphony Digital's Tourist Trophy Playstation 2 motorcycle simulator. The folks at Polyphony are the same ones who brought us the excellent Gran Turismo racing series and this title is equally impressive. 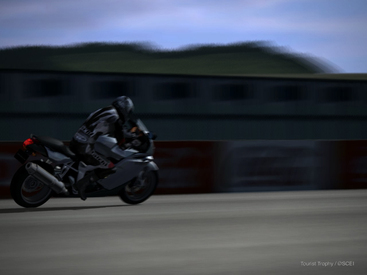 Beyond convincing riding dynamics, an extensive range of motorcycles and riding gear to explore, and near photorealistic racing venues, perhaps one of the most pleasant features of the simulator is the photo mode. 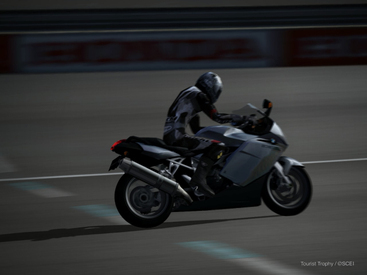 It allows riders to replay a race and capture memorable moments. 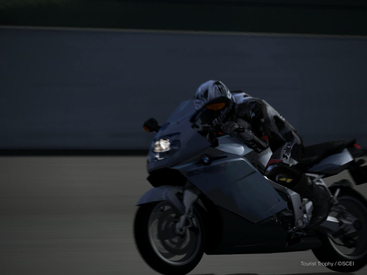 Extensive image manipulation capabilities are available so riders can pan to a perfect angle at a critical moment in the competition and stylize their photos to their choosing. 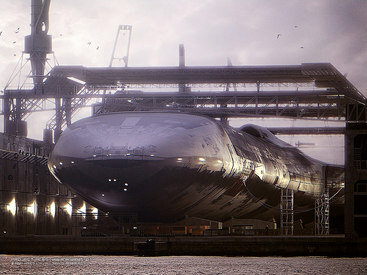 As for the level of detail achieved, the images below are photos output from the simulator. It was remarkably easy to plug in an iShuffle USB drive into the PS2 and save the photo content. 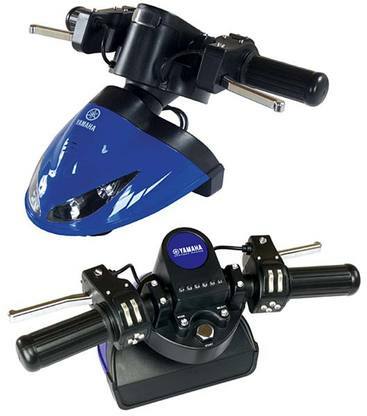 For added control and immersion, you may want to try adding a Yamaha Motor Sport Game Controller to the mix. Ride safe, smart and strong. 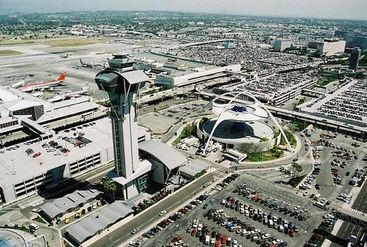 During a recent trip to Los Angeles, I was reminded of all the hours I once spent creating and learning with Sim City 2000. These memories are timely given that this month's Wired Magazine special edition entitled "The New World of Games" is Guest Edited by Sim City's creator Will Wright. There will always be a special place in my heart for the Sim City 2000 release. While the game title has evolved over the years, the particular release with its meticulously detailed, pixel-pushed, dimetric city views gained my respect from the moment that I first launched the game. Although Sim City 2000 may now be considered “old school”, I sometimes wonder about the benefits it could offer to the “new school” students of today. While we continue to debate the merits and potential negative effects of gaming particularly on our youth, the Sim City series serves as a beacon indicating where we should be focusing more of our “gaming” development efforts. Through using Sim City 2000 in classes, students could learn by building something rather than destroying, which is all too often the focus of too many gaming titles these days. They could explore cause and effect relationships and do so quickly, thereby reducing the repressive effects associated with the fear of failure. By resolving infrastructure tensions that arise as new commercial zones require larger power plants or underground pipe systems need to be modified to accommodate underground subway stations, students build something else. Something which is particularly important in today’s “who shall we blame next” society. That something which they build is empathy for those in civic service. After recent events like the Katrina disaster and the California power crisis, developing empathy for the scores of government workers who are indeed doing a good job is sorely needed. By allowing students to experience even a small part of what it is like to build and manage a functional city, we are training through play. Bonds must be passed to balance the books. Citizens must be placated through the addition of green belts and amusement parks and other services as cities grow. 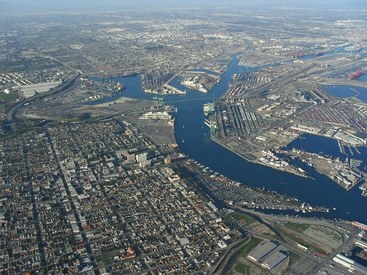 Weighing decisions like inviting military bases (a potential source of income) to a city must be carefully considered. For those who find it most engaging, perhaps a spark will be ignited drawing them into public service. And there is something magical in that process. Aligning youth with the skills and interest to serve is key to recovering faith in our public institutions. It gets those who are passionate and skilled into positions that can make a difference. And who would have thought this could all begin with a simple game. As I looked down during the approach to LAX, I smiled inside as I wondered what the city beneath the city really looked like. Knowing it was there and thinking about all the small and large decisions that have gotten the city to where it is today is something I have to thank Will Wright for. It is so easy to question why things are the way they are but reflecting upon the cities I built reminds me that urban planning is tough business, even in the virtual world. I can only hope that Los Angeles Version X.X is on its way to being incrementally better and stronger than the current version…just like each successive Sim City I built turned out to be. 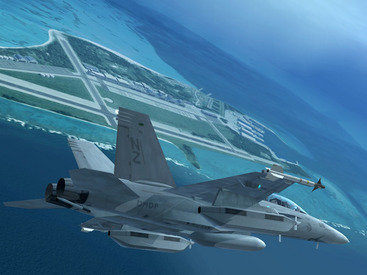 "Ace Combat 5: The Unsung War" keeps the Ace Combat series tradition of getting the most out of the Playstation 2 platform alive and well. Game play is compelling and for flight lovers, the photo realistic rendering engine using rich landscape textures and stunning details for aircraft provide visual delight. Perhaps Namco's game tagline, "Nothing Else Comes Close" is the best summary for this edition...at this point in time. Let's hope the folks at Namco keep pushing things along. The latest version of the series also provides an intriguing glimpse regarding possible future flight forms including the massive ArkBird low orbital vessel. While the Arkbird image below is not shown in the game (or it has not been discovered at the bivouac at least), it shows the high level of detail and backstory that shapes the world in which the drama unfolds. 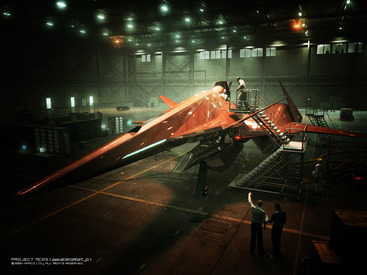 The Belkan Falken Fighter image shows the unique surreal, yet hyper-real qualilty of the charaters and environments created for the latest installment in the series.